On Tuesday, I was one of over 2000 Ford employees who attended a rally on the grounds of Ford World Headquarters in Dearborn, MI to celebrate the official launch of the 2013 Ford Fusion. 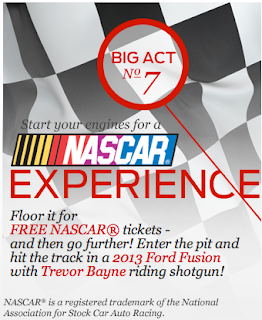 We all ate FREE hot dogs and pop while getting some hands-on time with the new Ford Fusion. The #FusionRally was kind of like the Detroit Auto Show, but just for one special vehicle. We got to look under the hood, peek and in the trunk and sit in the cars while playing with every dial, cup holder and door handle to our hearts content. All that was missing was the opportunity to drive one. See the beautiful mosaic in the photo at the beginning of this post? Well, somewhere in that mosaic is a photo of yours truly. 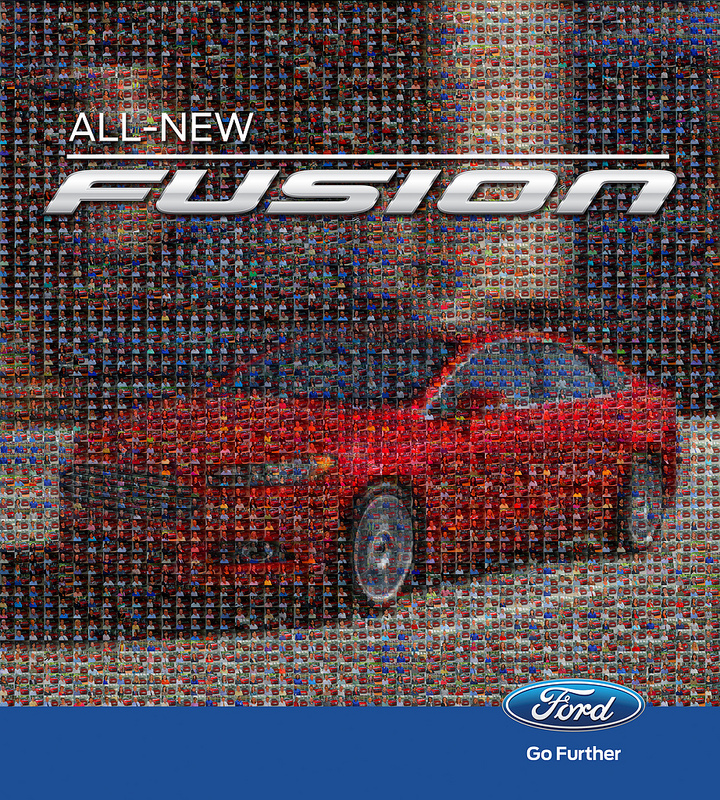 In addition to the employee rally, Ford gave employees an opportunity to take a special photo with a Ford Fusion and all these photos were put together to make the mosaic you see above. As part of the Ford Fusion launch, a huge version of the Ford Fusion employee mosaic now hangs on the side of the Ford World Headquarters building. So lots of Ford employees now feel a special connection to this car. The launch of the 2013 Ford Fusion is also good for Southeastern Michigan. It was announced during the rally that Ford will be adding 1,200 workers to the Flat Rock Assembly Plant just to build the Fusion. The plant currently has around 1,700 workers on one shift making the Ford Mustang. Ford plans to hire the workers for a second shift at Flat Rock next spring. The hires will be a combination of new workers and workers that have previously been laid off. Ford plans to invest $555 million in new equipment at the 25-year-old plant to now manufacture the 2013 Ford Fusion. Until now the Ford Fusion has only been manufactured in Mexico. 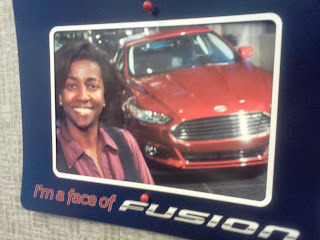 If you want to check out the 2013 Ford Fusion for yourself, head over to the Ford Fusion Facebook Page. While you are there, be sure to enter for your chance to WIN a once-in-a-lifetime NASCAR® experience at Charlotte Motor Speedway to be a part of the pit crew and get a personal driving lesson in the 2013 Ford Fusion from Trevor Bayne. No purchase necessary. Contest ends 9/28/12. 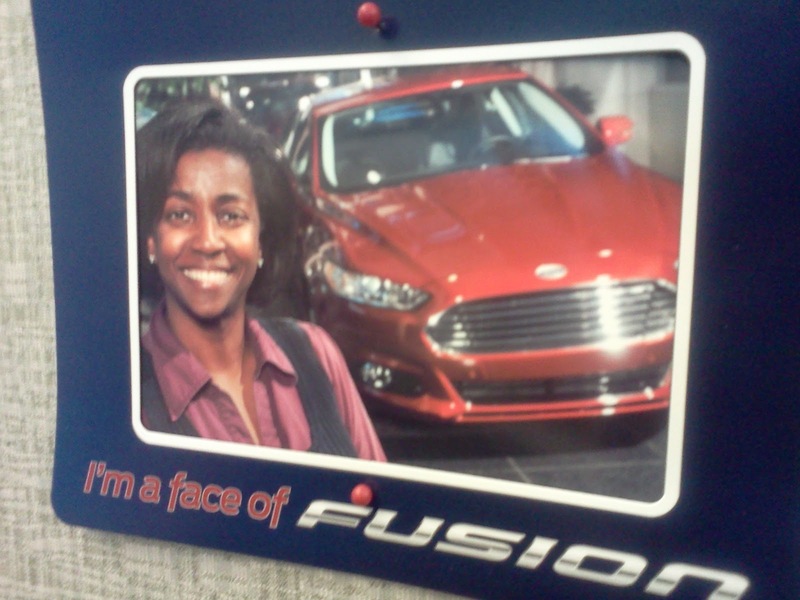 I received free food and T-shirts at the Ford Fusion employee rally. All opinions are my own.